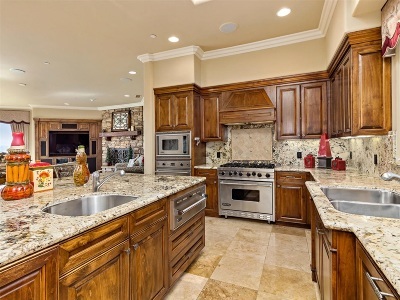 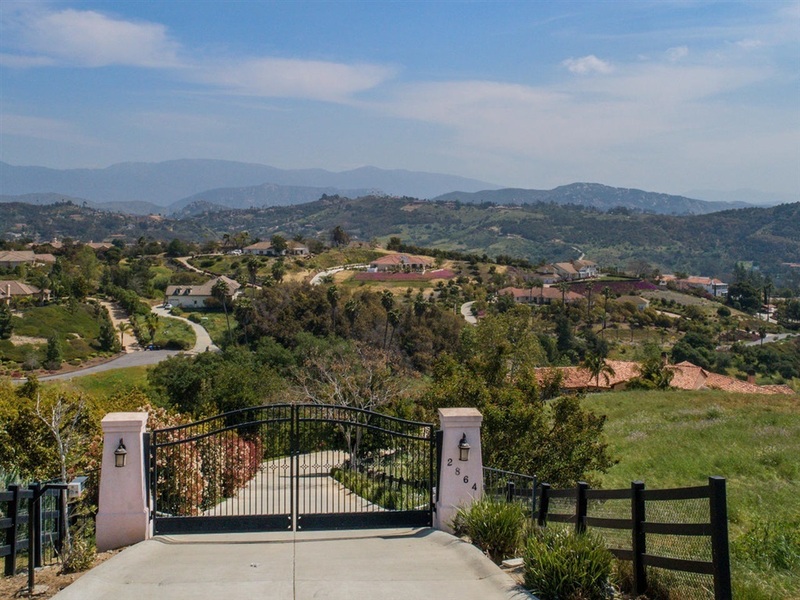 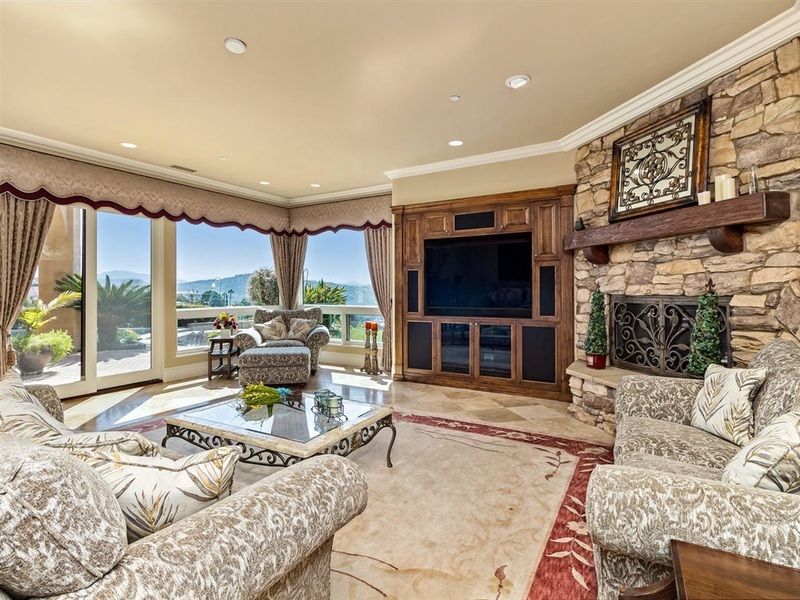 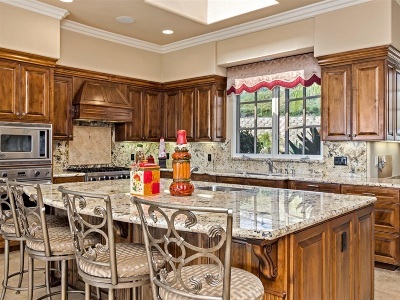 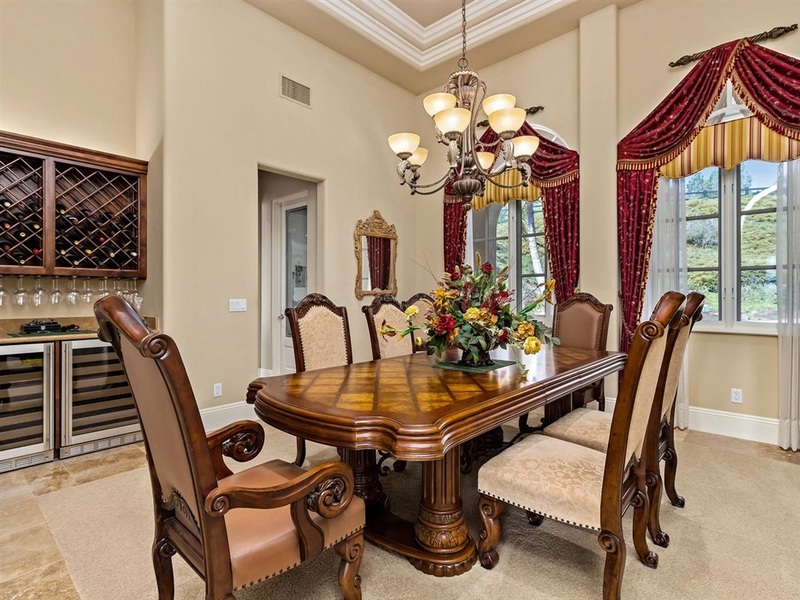 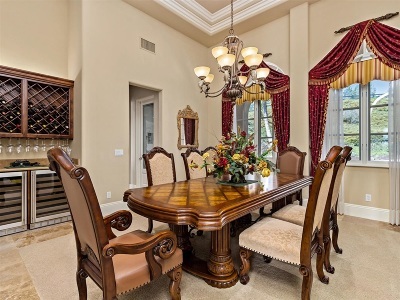 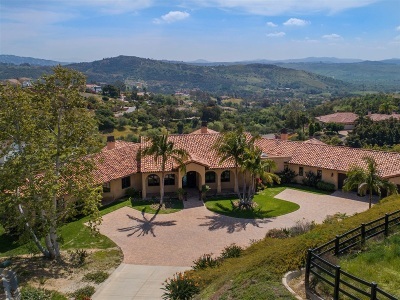 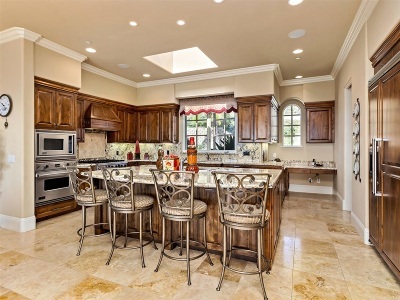 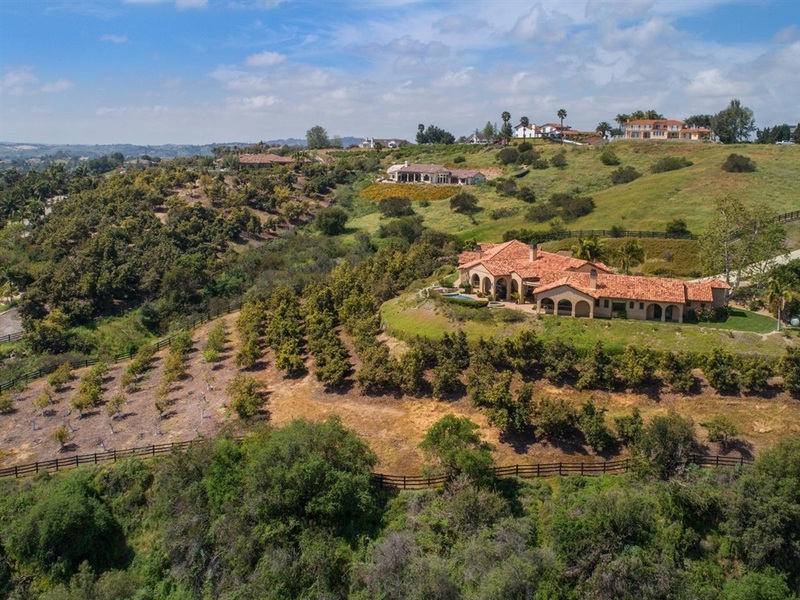 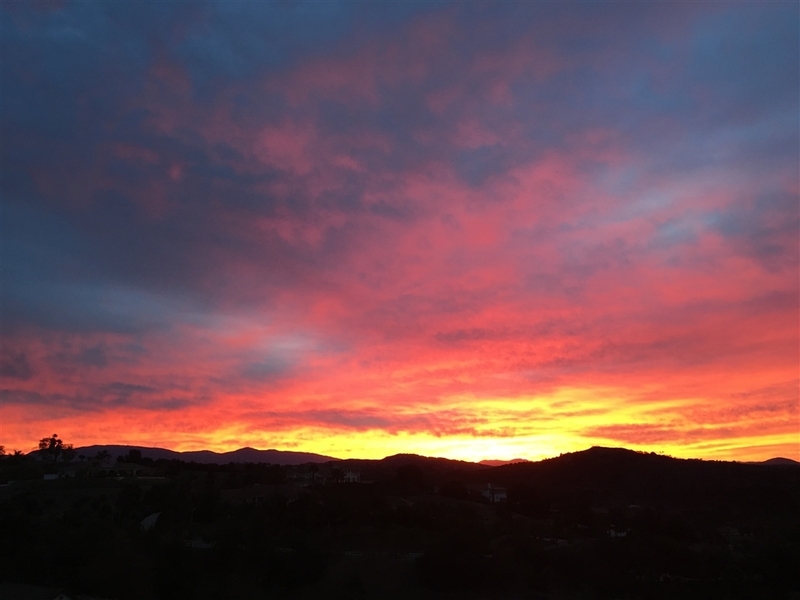 Nestled high in the Gird Valley and near one of Fallbrook's developing wine country destinations, lavish in the inspiring views of rolling hills, distant mountains and private vineyards while enjoying the intimate serenity that most only dream of. 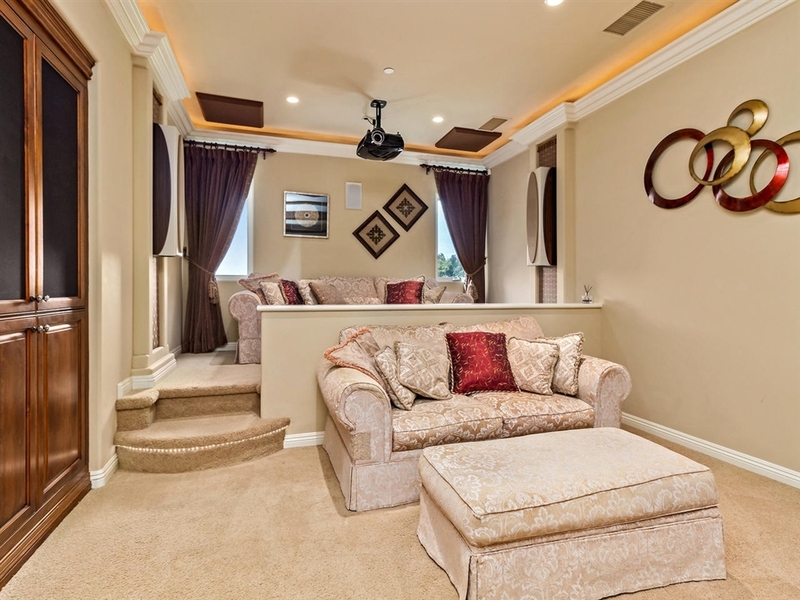 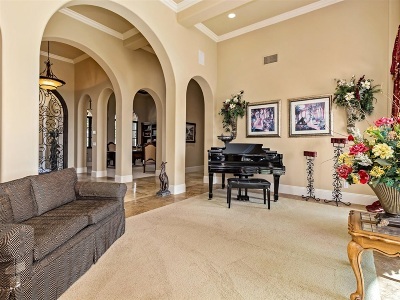 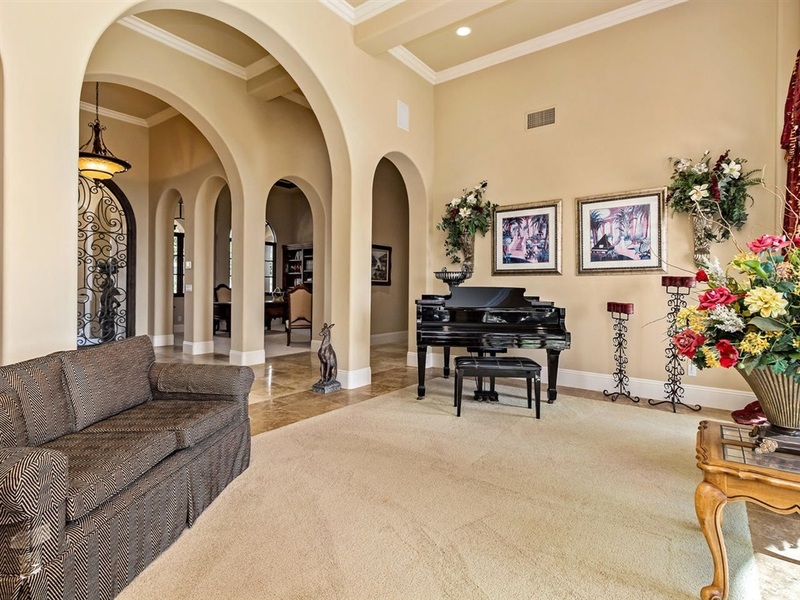 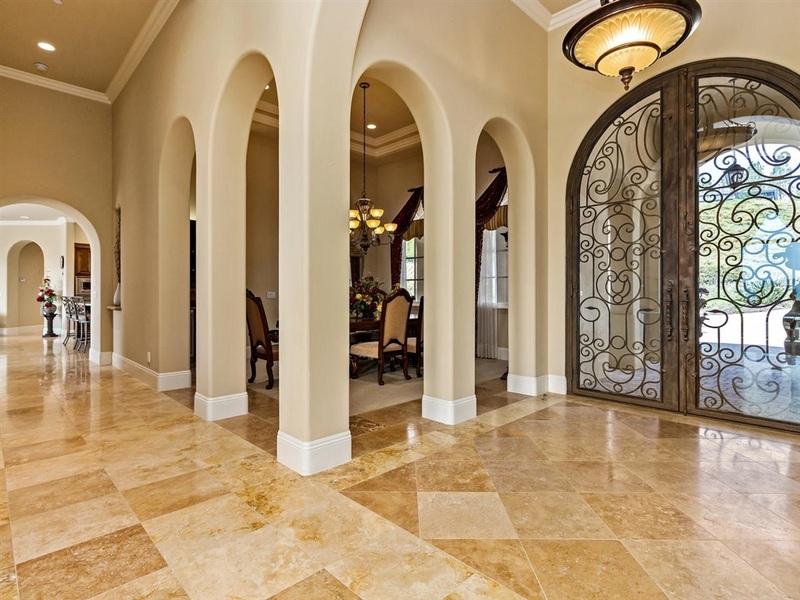 This expansive single level, Mediterranean/Spanish inspired masterpiece is artfully infused with natural lighting. 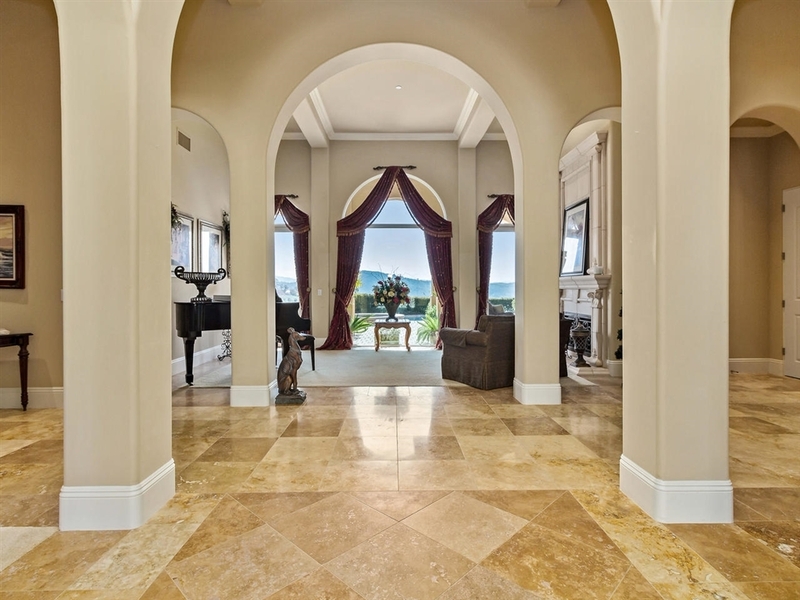 A stunning estate offering carefully designed features you will find only in a truly custom home., As you open the statuesque doors entering through the palatial 14' high pillar supported ceiling, you embark on your journey through this spectacular manor. 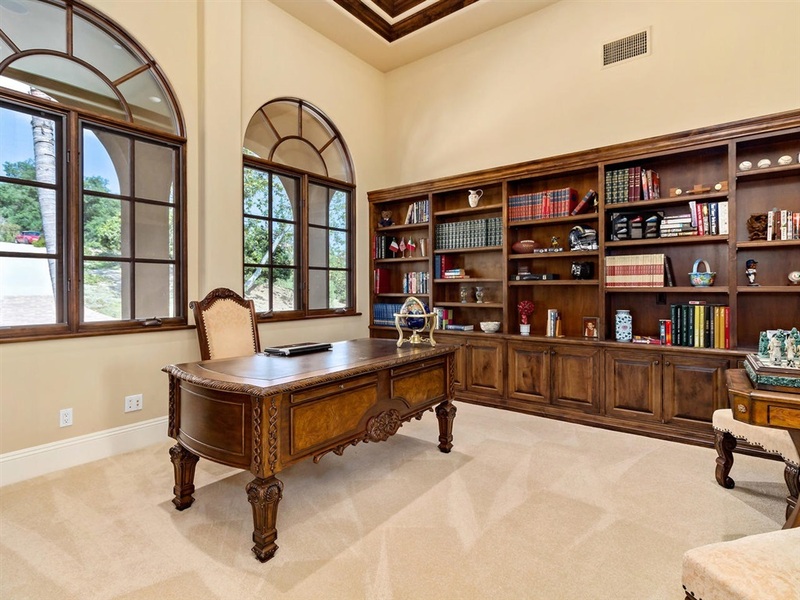 Must see amenities include the towering arched glass front door, sweeping gallery corridor, opulent Home Cinema, swim up bar, lofty arched windows, soaring covered patio, three en suite guest rooms, Views, and so much more. First time on the market, located down a meandering private concrete drive, this discreet gated estate is one not to miss!